These bacteria, which were swabbed on previous spacewalks, likely originated from Earth’s atmosphere and were perhaps ejected by flows of space dust that scatter particles and microorganisms outward. Soon we will have NASA’s official word on the bacteria found, but until then we know that our very own Commander Randy Bresnik and the rest of the Expedition 53 crew continue to conduct experiments to help deepen our understanding of life in space. 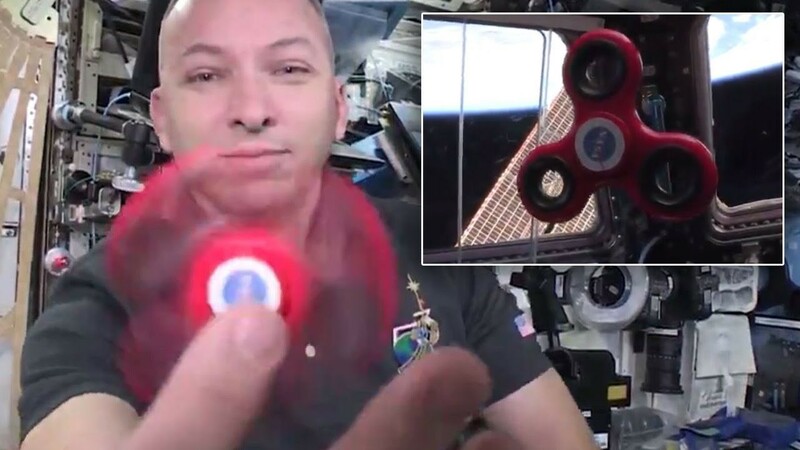 Here’s a picture of Commander Bresnik conducting some “no-nonsense” experiments on Newton’s Laws…a little floating fidget-spinning. And by the way, this evening at about 5:30 Charleston-time Commander Bresnik and the International Space Station will be right over our heads. Be sure to look up and give them a wave. Commander Bresnik’s days on this mission are numbered now, with an aniticipated return flight to earth on Dec. 14.